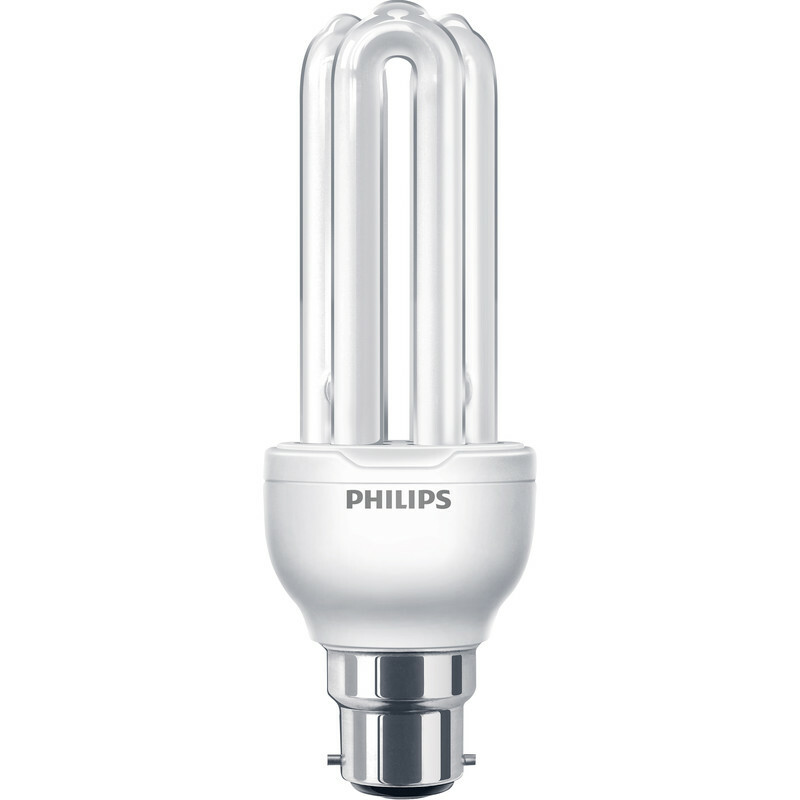 Philips Energy Saving CFL Stick Lamp 18W BC (B22d) 1100lm is rated 4.8 out of 5 by 5. Rated 5 out of 5 by Newmanbac from Mixed Range of Bulbs Competitively Priced with Fast Delivery - Very Impressed! Rated 4 out of 5 by MicRow from Good quality bulb Good low energy bulb, doesn't get to bright which is what I wanted. Rated 5 out of 5 by Riff raff from Philips CFL Bought to replace a failed bulb. OEM bulb had a 1 sec delay; the Philips bulb gave instant start. Slightly different manufacture to the original, though. Ecellent product.